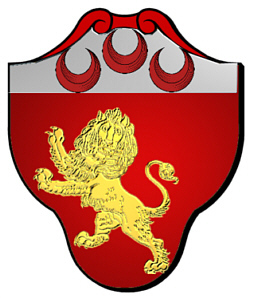 Coat of Arms: A red shield with a gold lion rampant guardant, on a silver chief, three red crescents. Motto: Forti et fideli nihil difficile. Motto Translated: To the brave and faithful man nothing is difficult. 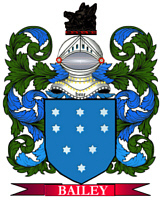 Spelling variations of this family name include: Dean, Deane, Dene, Deans, Deanes, Denes, Adeane and others. The name dean has a history dating as far back as the Anglo-Saxon tribes of Britain. It is derived from when the dean family lived in an area where there was a valley. The place-name is derived from the Old English word denu, when translated means valley. This Old English word has also given rise to other local names such as West Dean in Sussex, Deane in Hampshire and Dean in Essex. Some of the first settlers of this family name or some of its variants were: Stephen Deane who arrived on the 'Fortune', just one year after the arrival of the "Mayflower" in 1621. He built the first corn mill in New England. John Deane, his brother Walter and their wives arrived in New England in 1635. 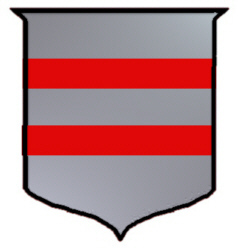 Coat of Arms: A silver shield with two red bars. First found in Galway and Mayo. According to Hardiman, the name came from England when William Den of Bristol arrived in Galway. 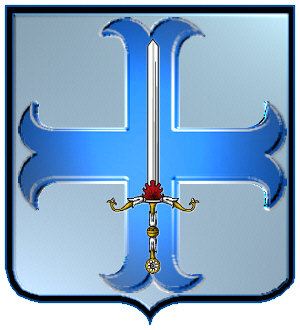 Coat of Arms: Silver with a blue cross moline with a sword over top of it. Motto: Vel arte, vel marte. 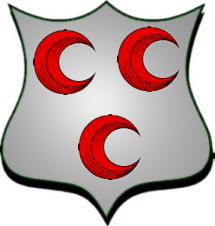 Coat of Arms: A silver shield with three red crescents.